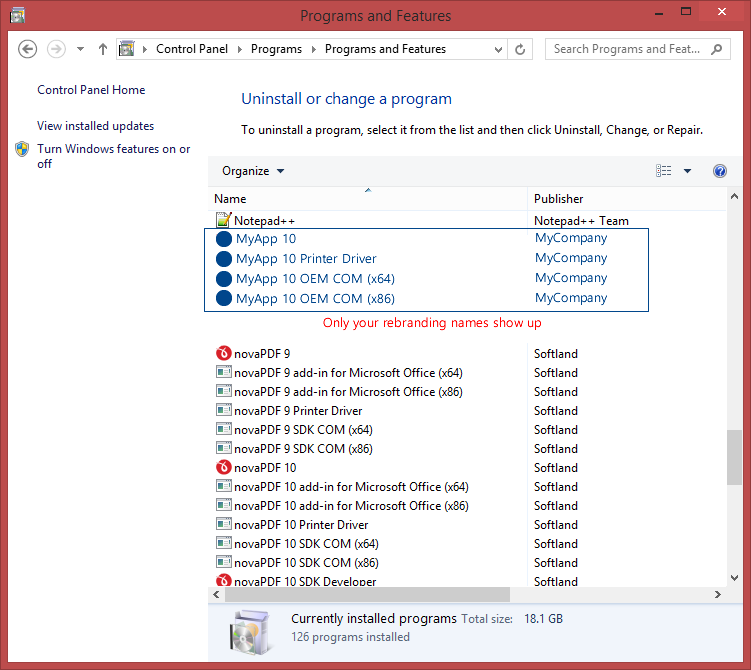 novaPDF OEM Developer is a post-processing PDF solution for developers that want to add PDF creation capabilities to their applications on the following operating systems: Windows 10, 8, 7, Vista, Server 2019/2016/2012/2008 (32/64-bits). It has to be installed silently as a PDF printer directly from your application's setup. Once installed it can convert to PDF any document sent to it for printing and save that PDF in a pre-defined location. 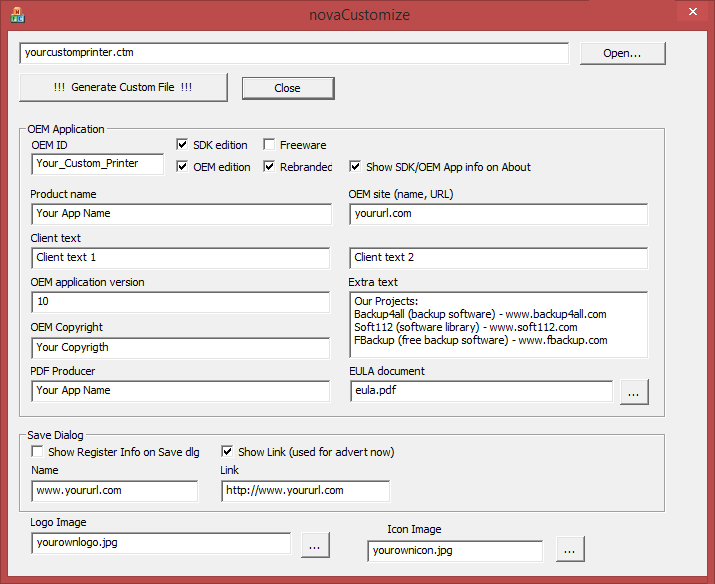 novaPDF OEM Developer includes a Customization tool that lets you configure the novaPDF OEM printer distribution. The novaPDF OEM printer has to be distributed and comes with royalty free licensing. It can be rebranded for an additional fee. It also comes with documentation detailing its installation, integration and distribution, as well as a code sample. You don't have to integrate anything into your application. Since no integration is required your application can be written in any programming language and you will still be able to use novaPDF OEM. 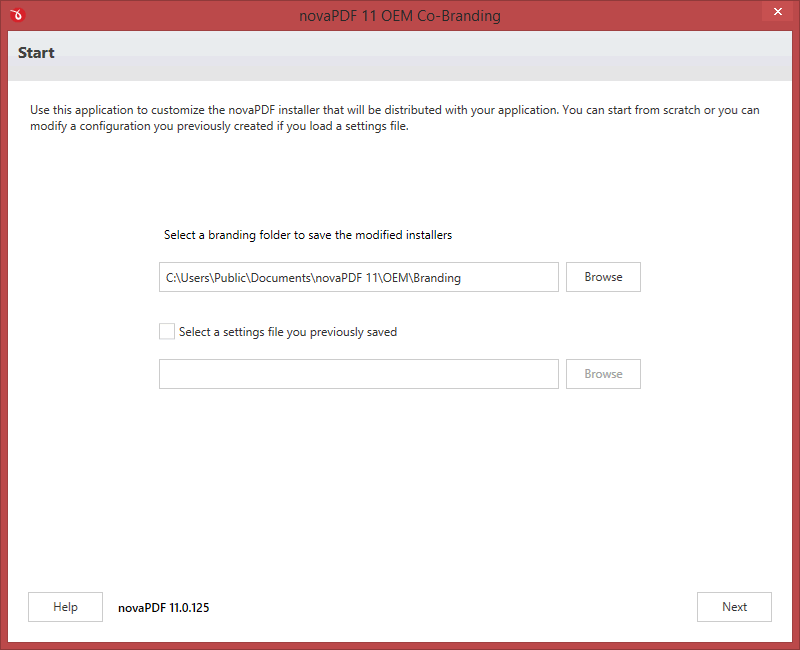 It is mandatory to distribute the novaPDF OEM printer in your application's setup. This is done under royalty free licensing (you only pay for the OEM license). novaPDF OEM can be fully rebranded so end-users will not see the novaPDF brand at all (rebranding is optional and requires an additional payment). You can integrate it without ordering and purchase a license after you have fully tested it. When unlicensed a watermark will be added to all PDFs created with it. The licensed novaPDF OEM printer allows users to create PDF files from any application with printing capabilities. The resulting PDF files must be accessible only to your application. 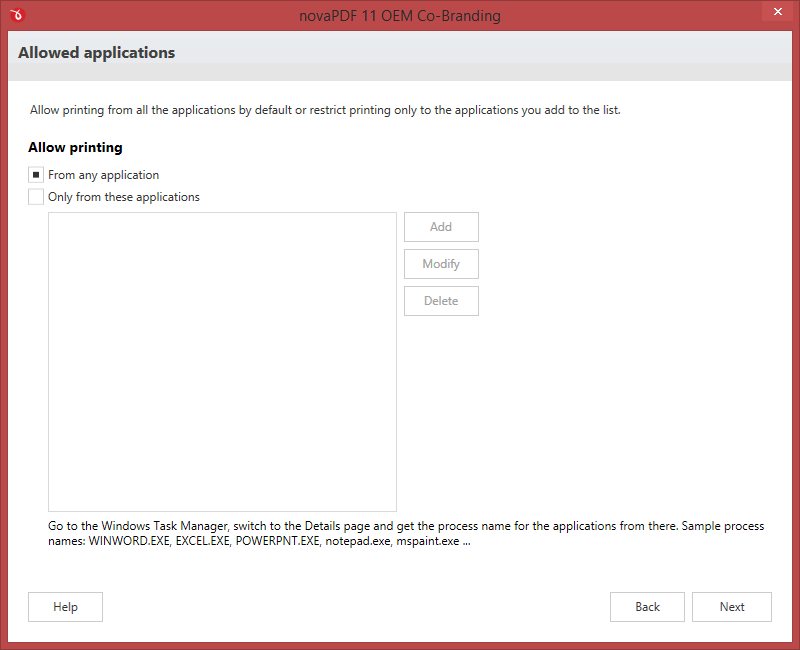 You are not allowed to develop a PDF creator using novaPDF OEM. Your application must have additional relevant functionality. novaPDF OEM Developer is fully functional with no time limitation. This means that you can download and test to see if it fits your needs, without ordering it. When it is not licensed a mention about novaPDF will be printed on each PDF page. After your order a license you will receive an email with the registration key and instructions on how to remove the notice from further created PDF files. To purchase a license visit the Developers Tools section of the Buy Now page. SOFTWARE APPLICATION LICENSE. This type of license grants you the right to develop, market and distribute ONE program or ONE software product that integrates novaPDF OEM to an unlimited number of end users without any additional fees. SOFTWARE COMPONENT LICENSE. This lets you develop, market and distribute ONE component, ONE wrapper, ONE library or ONE module that integrates novaPDF OEM to an unlimited number of developers without any additional fees. The resulting products that include the component, wrapper, library or module can be distributed to an unlimited number of end users without any additional fees. If you have multiple applications or components you need multiple licenses. Volume discounts are calculated automatically. 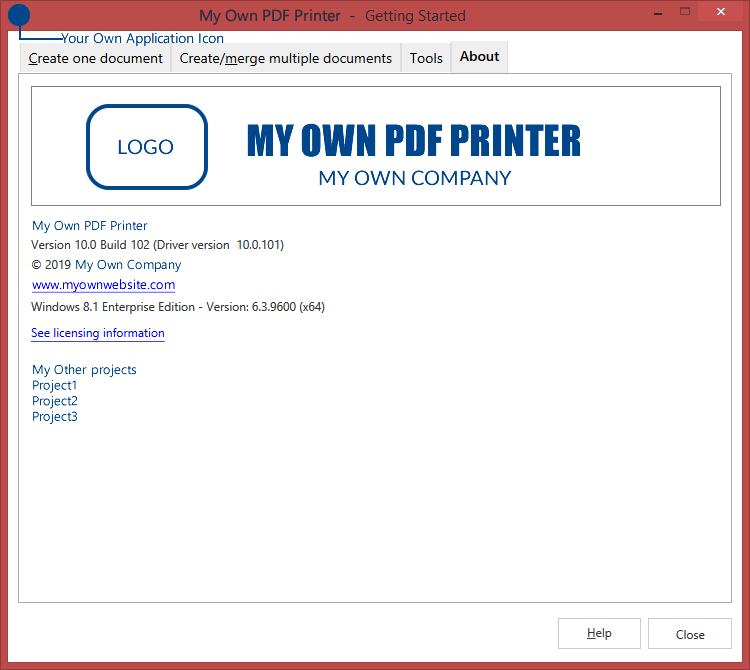 You are not allowed to create a PDF printer driver using novaPDF OEM, or another application similar to a PDF printer driver (whose main purpose is to create PDF files). 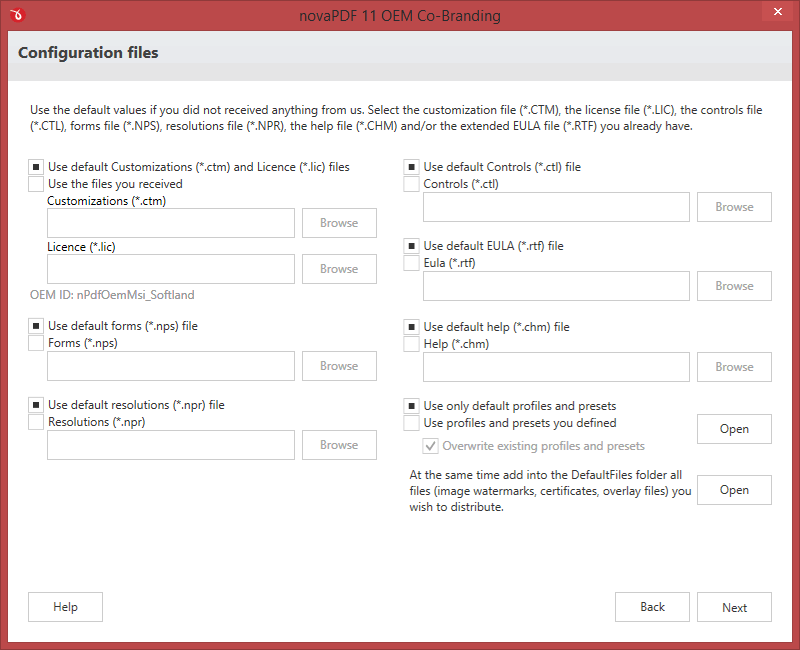 You can integrate and distribute novaPDF OEM with your application, as long as your application does some mandatory post-processing operations to the resulting PDF files. The resulting PDF file must not be accessible to the end-user for any purposes and must be deleted immediately after post-processing. You don't have to integrate anything into your application. Since no integration is required your application can be written in any programming language and you will still be able to use it. novaPDF OEM can be fully rebranded so end-users will not see the novaPDF brand at all. This is an optional step and requires additional payment. novaPDF OEM can be integrated without purchasing a license so that you can fully test it before buying. When it is unlicensed, a watermark will be added to all created PDFs. 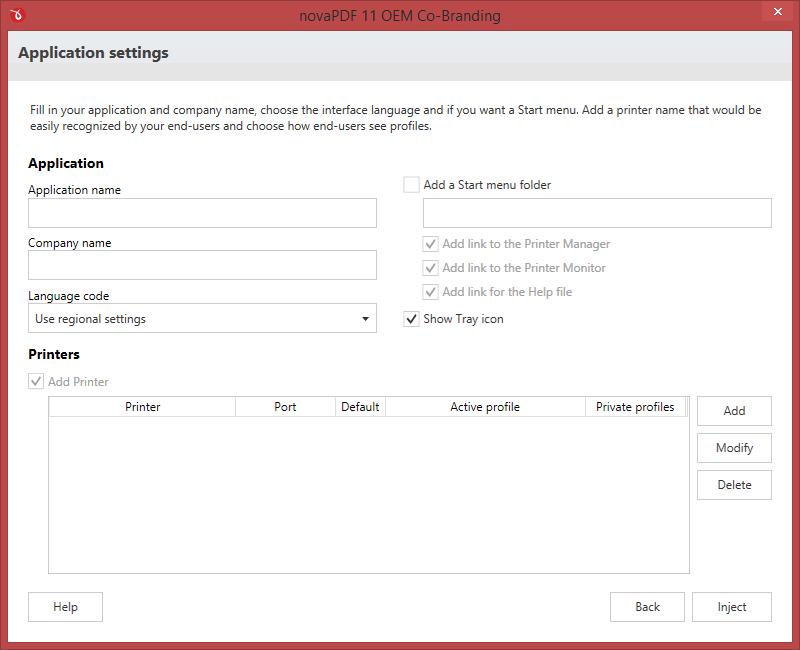 It is mandatory to distribute the novaPDF OEM printer with the application's setup. However, this is done under royalty free licensing, so developers only pay for the OEM license. You do not have to pay any royalty fees, no matter how many clients use your app. 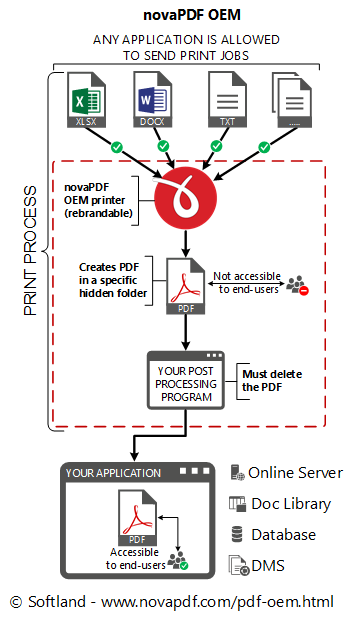 The licensed novaPDF OEM printer allows users to create PDF files from any application with printing capabilities. The resulting files must be accessible only to your application for post-processing, before allowing your users to access the PDFs.